Dear guests, ski lovers, sport lovers and snowfriends. 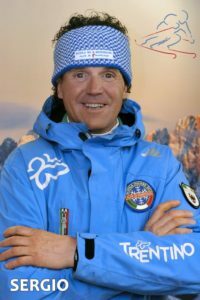 All staff of the Italian Ski and Snowboard School of Alpe di Pampeago give you a very warm welcome. Since 1968, we have been doing our best to let you live unforgettable experiences in our ski area. Our school is composed of 30 instructors for all disciplines – Ski, Snowboard, Telemark, Freeride, Freestyle – who will carefully teach you the technique, improve your competences and bring to higher skiing levels both children and adults, in the name of professionalism, total safety and fun. To better know our services and activities, visit our website. The staff and ski instructors of the Italian Ski and Snowboard School of Alpe di Pampeago are waiting for you to enjoy and share magical and incomparable moments on the snow of our ski area.